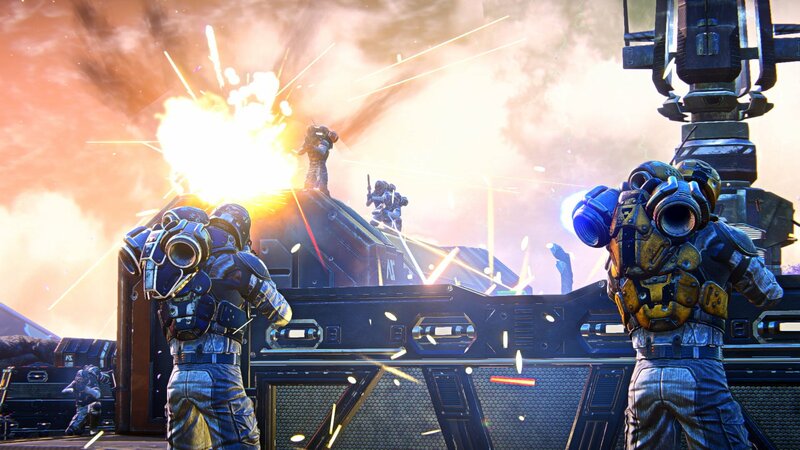 PlanetSide Arena is the next entry in Daybreak's massive shooting franchise, but it's one that goes in a slightly different direction, acting as more of a battle royale arena shooter. In a landscape filled with first-person shooters, Daybreak Games has had one advantage over the rest of the pack with the PlanetSide franchise: sheer enormity. The massive scale of its battles and the size of its world has made PlanetSide 2 stand out about the competition for the past five years. And with the battle royale craze continuing to take the gaming world by storm, Daybreak is looking to bring PlanetSide into that realm... sort of. While PlanetSide Arena touches on the idea of battle royale, this game isn't the next Fortnite or PlayerUnknown's Battlegrounds. It's more of a jump into an arena-style shooter. 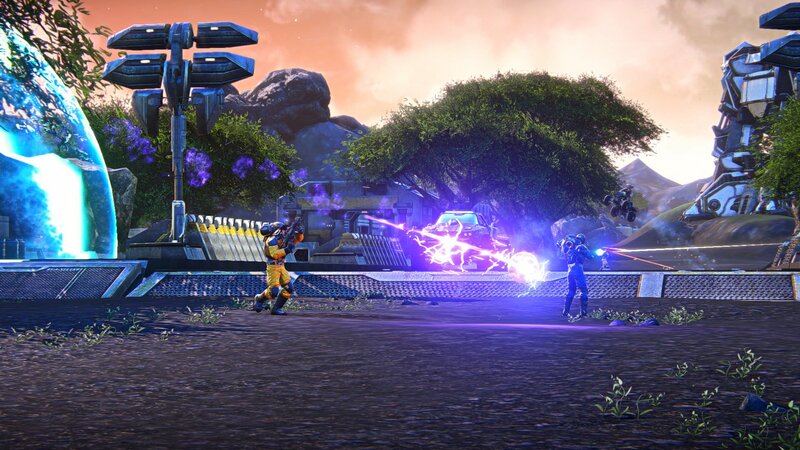 PlanetSide Arena is described as a game with elements of the revered PlanetSide franchise blended with the faster pace of an arena shooter. There are three different ways to play. Solo mode utilizes more traditional battle royale style of play. Team mode has players band together in groups of three to vie for supremacy. Then there's the tentatively-labeled "Massive Clash," which offers a giant 500 vs. 500 war across the entire map. Assault: The Assault class has a Dash Jumpjet, a Healing Totem, and additional sprint speed. Medic: The Medic uses an area-of-effect heal, a shield regen device, and a passive interaction time buff that allows it to revive teammates quicker. Engineer: The Engineer has an upgradable Hardlight Barrier shield, a Spitfire auto turret, and a passive Shield Regen buff that allows it to refresh its shields faster. There are a few battle royale elements in place in PlanetSide Arena. Players gather in the Bastion of Destiny warship, which houses hundreds of active players. This is where they can interact with one another and practice their skils for the battle ahead. Once it's game time, the Bastion will fly over the Auraxis atmosphere and drop pods onto the 64 square kilometer map, similar to other battle royale games. Players will start off with a single knife and search for weapons and utility upgrades, though they'll be able to summon a personal Flash ATV buggy with the touch of a hotkey. They'll also have jetpacks at the ready at any time. Weapons are scattered throughout the world, with all pickups color coded and labeled by rarity. Vehicles are also placed around the map, each with their own power level. Taking some cues from its sister franchise, Z1 Battle Royale, PlanetSide Arena sessions will see random crates spawn into the world at various points during the battle. An audio cue will indicate when the crate is popping in, with an emitter giving away its location. These crates include Legendary drops, like Sniper Rifles, and will be a hot commodity. If pink smoke shows up, there's an airdrop incoming, so expect to see other players converge on that location. Currency is also a key part of a PlanetSide Arena battle. Weapons terminals can be found in random locations, allowing players to purchase or upgrade their weapons. But they'll need enough currency to make those purchases, which can only be found across the map, similar to weapon drops. While shooting prowess and good aim will be the keys to victory, Orbital Strike grenades will also show up every now and then. Daybreak says these will be infrequent drops, but if an Orbital Strike goes off, anyone near the center blast radius will die instantly. Anyone just outside the blast zone will get knocked in the air and stunned for a momentary period. So far, all of this is sounding like another battle royale game. 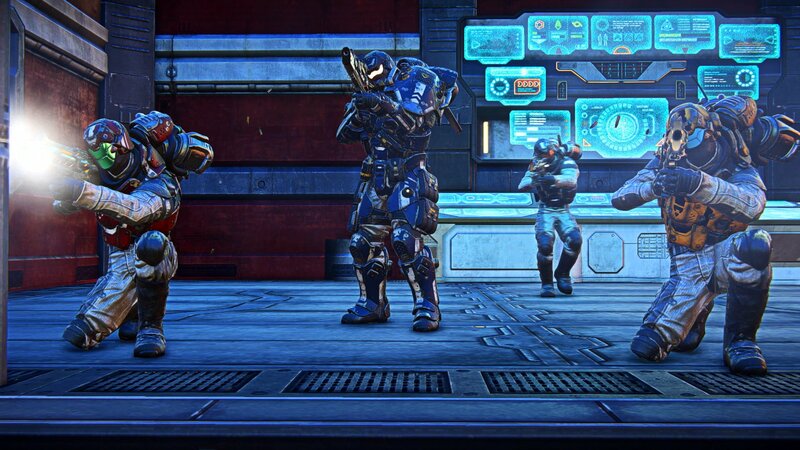 However, PlanetSide Arena will operate with three-month seasons, at which point the featured game modes will rotate. When the first season ends, new game modes will rotate in, with Daybreak citing Team Deathmatch, Search and Destroy, and Global Conquest listed as the potential game modes that could take center stage in the second season. Seasons will act as more than a way to change out game modes. 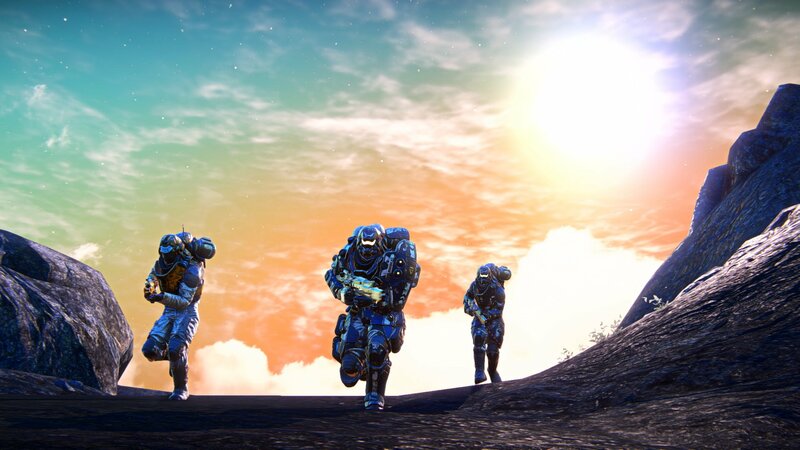 Daybreak is looking to celebrate PlanetSide as a franchise with a new story arc that will unfold from season to season. This opens the door for new classes, new weapon blueprints, new vehicles, and other new content. Seasons will not only usher in new content for the game, but also pave the way for the future of the PlanetSide series as a whole. There's much more coming in PlanetSide's future and PlanetSide Arena is the first big step forward. It's not far away from launch, either. The game is set to release on PC on January 29. A public beta is set to launch soon, with details from Daybreak in the weeks ahead.